The best coffee and espresso maker combo isn’t easy to find. Whatever you may want may not be enough for someone else, and vice versa. Just because a machine is able to pour coffee and espresso separately doesn’t mean it’s always worth the purchase. 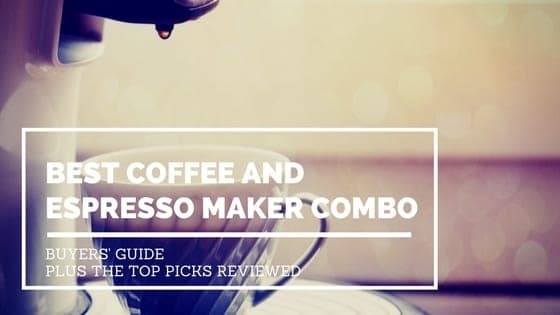 To help you narrow down your search, we’ve prepared a buying guide and reviewed the following coffee and espresso maker combos. There are pros and cons to any type of kitchen appliance. When it comes to coffee and espresso maker combos, things are no different. There are reasons to buy one and reasons to stay away from another. Here are some of the more appealing benefits. If you get the best coffee and espresso maker combo you’re able to brew both classic coffee and espresso shots. You get to enjoy a large cup of coffee when you have the time to brew it and you’re able to get your fix within seconds when you need a boost. This is a given in most machines today but it’s even more impressive on a dual-purpose machine. The ability to select and fine-tune the texture, concentration, and temperature for different types of coffee beverages lets you create a diverse menu. Therefore, everyone in the house or the office is pleased. It’s often overlooked but the best coffee and espresso maker combo can make you feel like a barista in your own home. If you enjoy the process of brewing coffee and experimenting with textures and flavors, then a combo machine is for you. You get to be hands-on with your brewing when you have the time, while still being able to whip up something quick and easy for the road. There are those who pay for coffee and those that pay for espressos. It happens even to people that own a machine at home. Why? A lot of people drink it at work, while driving, or just enjoy the beverage so much they go out to have a professionally made cup. This can add up to well over $1000 each year. If you enjoy both shots and coffee, why not invest in the best coffee and espresso maker combo and make them at home? Some of the machines can make better coffee than the average commercial-grade machines you see in coffee shops, especially when you can control the type and quality of coffee used. Even the best coffee and espresso maker combo may come with some drawbacks. This is especially true if you’re constrained by a budget. Be prepared to make some compromises because you might not always be able to balance taste with ease of use or brewing diversity. Being your own barista can come with its own drawbacks, one of which is the learning curve. Even the best coffee and espresso maker combo may take some getting used to. It could have a complicated menu, maybe the grind doesn’t always fall all the way through, or maybe you have to grind your own beans. Just because something is best in a price range doesn’t mean it is free of faults. It’s not guaranteed that homemade coffee and espresso will taste better than what you can have when you’re out in town. Sometimes you could get an average espresso and an average pot of coffee. That’s why brands and features should factor into your decision. Choosing a coffee and espresso maker combo is all about getting as many features as possible within a certain price range. If you want great coffee and great espresso from the same machine, there are a few details to keep in mind. The size of the coffee you use is a major factor.  Keep in mind that espresso machines typically brew a single shot of espresso, which is 1 fluid ounce, give or take. A drip coffee maker is able to brew a full pot. You want to find something in between. There are plenty of espresso makers which have a drip feature and a large capacity. The same can’t be said about coffee makers with an espresso option. The coarseness of the grind can affect the taste and the type of coffee you get. You need to find a combo that supports your favorite blend and delivery method. Whether you grind your own beans, or you use pods, this is definitely something to consider before making a purchase. There are plenty of milk foam aficionados out there. If you’re one of them, a milk wand is a feature to look for in the best coffee and espresso maker combo. Needless to say, the foam adds an entire new arsenal of beverages to the list and pushes the machine to another level, value-wise. It’s even better if you can get an automated milk frother. Just because you enjoy being hands-on when making lattes and cappuccinos, it doesn’t mean you’re good at it. It’s better to have one and not need it than to need it and not have it. Just think of your dinner guests. Most machines have automatic brewing but not all of them are programmable. By this we mean setting a timer and waking up to a freshly brewed pot of coffee that’s still hot. Finding this feature may cost extra but it’s always worth it no matter how much free time you have. It would also help if the machine is silent too; you want to wake up to coffee, not to be woken up by the sound of coffee brewing far away in the kitchen. Most times people enjoy drinking coffee not just for the energy boost. If you truly enjoy the taste of a hot beverage, then the classic cup of Joe is for you. Of course, it does take a while to brew and not everyone has the time for that in the morning. If you just need something to wake you up, then the espresso is recommended. It takes seconds to brew, it’s concentrated, and it gets the job done fast. But what if you want the best of both worlds? For this situation there’s always the option of getting a combo machine. And, they’re not as expensive as you might think. The very good coffee and espresso maker combo can be under $500 and still deliver excellent taste in any cup size. What’s even better is that if you get one for your home or your office, one machine is enough to satisfy everyone’s needs. Loaded with features and designed for ease of use, the Miele CM6110 is the best coffee and espresso maker combo overall. It brings the taste of coffee house coffee into your home or office and it doesn’t require a particularly hands-on process. It has an automatic preparation mode which lets you select a variety of beverages to fill your cup with. It also has a two-cup spout which lets you pour two drinks at the same time. The push-button controls are very intuitive as they feature images of specific drinks. The included milk frother is a godsend for those who like experimenting with textures and flavors. It lets you add milk and froth to whichever beverage you want. However, the milk container is not included. There is also a timer on the Miele CM6110. You can use it to program the machine to turn on and off whenever you want. This comes in really handy if you want to wake up to a fresh pot of coffee or a concentrated shot of espresso. DeLonghi has a knack for creating awesome looking and practical designs. The Combi BC0330T is no exception and deserves as much praise as any DeLonghi product of its kind. In terms of operation, it’s quite simple. There’s a place for your coffee pot and a different spout for your espresso shots. You can program the latter for a single or a double shot. The brewing is pretty much automatic and pressing the few buttons is convenient. The minor downside is that there’s no automatic milk frother, which you probably wouldn’t expect at this price. There is, however, a foam wand which rotates at a decent angle. You will have to buy a separate milk container if you like experimenting with different consistencies and quantities. The price point is also nice; if you want the luxury of brewing both coffee and espresso at home and you’re on a tight budget, you may not need to look any further. The taste is decent, to say the least. You can’t expect the same results you would get from high-end machines or the best coffee and espresso maker combo on the market. Still, you get a 2-in-1 machine that’s easy to use and has quite a diverse brewing menu. It’s also cool that despite being a budget option it does come with a programmable timer. You can set it up to 24h ahead of time for both coffee and espresso. Breville machines are usually simple to use and quite durable regardless of their price tag. This one might even be their best coffee and espresso machine combo that doesn’t break the bank. It has a decent capacity and it comes with a free selection of pods to familiarize you with the different tastes. Apart from a couple of free coffee pods, there’s more to this compact machine than meets the eye. It can pour a single cup or a shot of Nespresso with a turn of the dial. The package also includes the Aeroccino 3 milk frother. Although you have to work it yourself, you still have plenty of control over the texture. It might be even better for the true coffee enthusiast as it offers a hands-on approach. The coffee selection is not as impressive because you’re limited by the capsules. That being said, there are plenty of high-end coffee and espresso maker combos that are even more limited when it comes to the grind. The centrifusion extraction technology is a patented Nespresso method of flavor extraction. It’s surprisingly good, even if you’re a first-time user. The compact design of the machine also lets it be almost maintenance-free, which is a lot to say for a 2-in-1 machine. This coffee bar is an interesting option. It can brew 10 cups of coffee from the right-side spout but it’s also an espresso maker – not your traditional one. Instead of pouring one shot of espresso at a time, it pours in cycles of four espresso shots. The Krups XP1600 comes with two carafes for espresso and regular coffee. It could be the best coffee and espresso maker combo for you if you have a large family. There’s also a milk wand near the espresso spout. It doesn’t come with different settings, but it still lets you achieve coffee shop-quality foam for your cappuccino and latte; it just might take you a bit longer. The filter basket is easy to access so you can change the blend at any time. Other than the rather unfortunate water tank design, there’s really nothing wrong with the Krups XP1600. If you’re new to making coffee and espresso, and experimenting with flavors in general, this one is a breeze to use. And when we’re talking newbie-friendly, we’re talking automatic shutdown features that ensure you don’t burn the house down or break the machine. Another beginner-friendly Krups coffee and espresso machine combo is the 985-42 IL Caffe Duomo. This machine takes just two buttons to operate. Press one for coffee or press the other for espresso. They’re also conveniently placed underneath the appropriate carafe, so you can’t get them confused. You can also use the Krups 985-42 to create cappuccino and lattes. There’s a steam nozzle and a frother attachment located on the left side of the machine. There’s also an adjustable knob you can use for creating different foam textures. If you simply don’t want to wait for your entire coffee pot to fill up, you can use the 20-second pause feature. Both the espresso and the coffee carafes are dishwasher-safe. Unlike with the Krups XP1600 model, the Krups 985-42 can brew one or two espresso shots. The machine measures 14x12x10 inches, which is not very compact but not that large either. It will fit just fine on most kitchen countertops. This machine may seem intimidating but it’s actually quite simple to use. You can program it for one or two cups of espresso. The coffee carafe holds up to 10 cups of coffee and the water tank has a large capacity. This coffee and espresso maker combo also has a nice digital clock right in the middle, near the logo. The steam wand is conveniently placed near the espresso spout and is accompanied by an adjustable knob. It also packs quite a punch, so you should be able to create multiple textures if you’re good with your hands. The espresso lever needs to be held in place until the shot is poured. However, this underrated coffee and espresso maker combo is quite a fast-brewing machine. Although it’s not light at 14.5 pounds, most of the materials are plastic so you can’t rely on it to last until you retire. Nonetheless, for the price range it’s still a good kitchen appliance to own. You can use multiple types of grinds and drink whatever flavor you prefer in the comfort of your home. After careful comparisons, there’s more than one reason why the Miele CM6110 emerges as the best overall coffee and espresso maker. The compact design lets you fit it in any kitchen and office space. It has full flavor extraction which is not a guarantee even for machines in its lofty price range, believe it or not. The one-touch brewing makes it so you don’t need much experience with brewing hot drinks. The automated frother lets you create diverse textures and expand your drinks menu by a large margin. In terms of convenience it rarely gets better. While the price tag is not for everyone, the durability and quality of the device makes it a one-time purchase. It may have a limited water tank capacity, but the brewing speed is truly superior, so refilling the water every now and then shouldn’t waste any time on your part. To top it all off, it’s also perhaps the best coffee and espresso maker combo in terms of noise reduction. The silent motor and brewing process could be just what you need for a quiet breakfast every day of the week.